When our company was formed in 1992, we set out to achieve 3 criteria – PRICE, QUALITY & SERVICE. 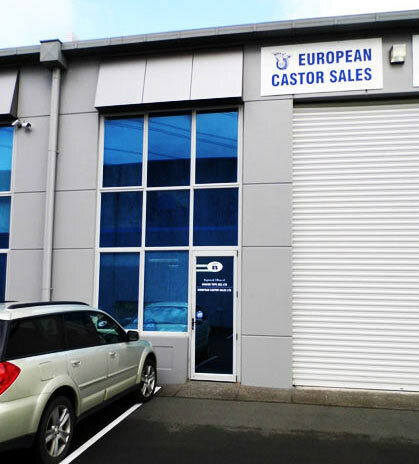 To help us with this, European Castor Sales is fortunate to represent some of Europe’s leading brands. We have deliberately chosen European Suppliers because of their quality, design, durability and number of years established. Our Suppliers have all been manufacturing for between 40 and 70 years. Their product testing and conformity leads the world. This ensures a high degree of reliability and safety. Europe has recently tightened it’s standards, with more emphasis being placed on environmental and health concerns, sustainability and recyclable products. In particular, the type and composition of chemicals used in the making of the wheels, is now regulated to meet health and hygiene standards. Our suppliers comply to the RoHS directive. Some of our suppliers are also USDA, FDA approved. The following standards are typical of European Castor manufacturers. Our Suppliers specialise in a wide variety of material, resistant to many chemicals and agents. Some of the individual product warranties offered are not available from our competitors. Some of our Suppliers’ products have been so successful in the world market that others have tried to copy the look. Unfortunately, to date, they have been unable to replicate the warranty and/or material composition. Don’t assume that because the product is sourced from Europe, it is necessarily expensive. Because of our Suppliers’ advanced manufacturing processes, high level of automation and high volumes, not only is the product of high quality, but it remains very, very competitive, particularly with product sourced from developing countries. We look forward to the opportunity to service and solve your requirements.